PNP Express Entry Stream and Job Offer Stream. Greatest Opportunity Ever for eligible applicants!!! Either you have to have a valid Express Entry Profile or meet Eligibility to create a Profile in EE. A positive ECA result from a designated organization. Eligible professions in EE profile. Express Entry Stream Applicants can use their attendance in the session towards “Connection to Province” eligibility criteria for Express Entry L M S.
No invitations to apply for the Express Entry Stream will be given on the spot; however you will have to follow the instructions further to send anEOI if you meet all the eligibility criteria of the program. The benefit of attending this information session is that you can apply for immigration without a job offer using the Express Entry L M S when the Program will accept EOI’s from people who attended an information session and meet the NOC requirements. ECA,IELTS and create an Express Entry profile Number. 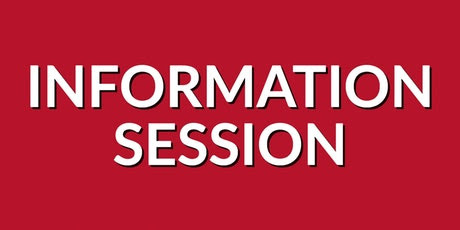 PNP will be creating an inventory of workers through these sessions, which means that while you may not be able to meet with an employer or receive an offer of employment at this current session, you will be captured in PNP system and potentially invited to a future session going to be scheduled in 2018. For those who have yet to have their education and language assessed, please begin the process as soon as possible to be eligible to participate in the program. If you are interested in any of the above program please contact us at: info@ciisimmigration.com by sending a copy of your resume indicating your program of eligibility. Kindly send us your resume after fully reading the eligibility requirements for both programs and if you fully meet those requirements for either of it. Second Job Fair in Dubai in 2017 by Provincial Govt in association with Designated Employers from Canada. This job fair is for those who have relevant experience in the professions listed below and for potential immigrants who are interested to move to Canada along with their family members. This is an Employer driven program to fill their skills shortage. Those who get selected may be eligible to make a PR application to immigrate to Canada. The highlight of this program is the selected candidates are securing a job offer when they immigrate to Canada and that is not usually the case with other immigration programs. The application processing time for this program is fairly quicker compared to some other immigration category or programs. At least 1 year paid full time work experience or equal amount in part time. This experience must be in the last 5 years. Sufficient Settlement Funds must be available. (you will need to show the proof of funds to Canadian immigration authorities, when you apply to immigrate). Eligible applicant’s personal interview will be held in the month of Oct. 2017 as per details given below. All applicant’s need an email confirmation from the province regarding place and venue of the interview. The details of your personal interview such as date time and venue will be emailed to selected candidates. Please email us to: info@ciisimmigration.com if you need assistance with submitting your resume to provincial immigration officials. This program is currently open (re-opened after completion of May 2017 interviews).Keep checking our Job fair page for similar opportunities in future. Applicants who is currently not able to participate in the scheduled interview due to documentation issues can contact us to start the process to get ready for similar interviews in the future. Care Giver Program (Eligible applicants can apply now). This program is for recruiting CCAs (also known as Nurse Aid, Care Giver or Nurse assistant, PSW etc.) to Canadian provinces. This is a job oriented immigration program. First the applicant can come to work in Canada, while family PR application is being processed. In AIPP, PR application will be processed in 6 months. (Family PR application will be filed along with or just after TFW application). Min 1 year relevant experience (as a homenurse or caregiver) Exp should be in the last 3 years. General IELTS: 6.5 in all abilities. (IELTS must be obtained before Job offer letter is issued but can start the process immediately as employer wants the workers in Canada a.s.a.p. Salary: above 16 -17 CAD per hr. Hours: 40 hours per week are normally available. OT available with OT hourly rate. Processing time: Must be reported for job before 31st March 2018. Has all the befit of the above specified.